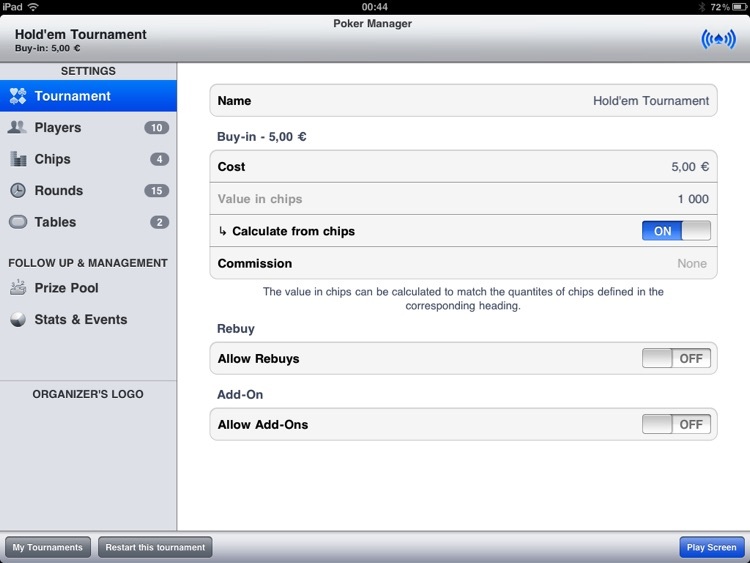 Poker Manager for iPad makes it easy to manage tournaments with either single or multiple tables. 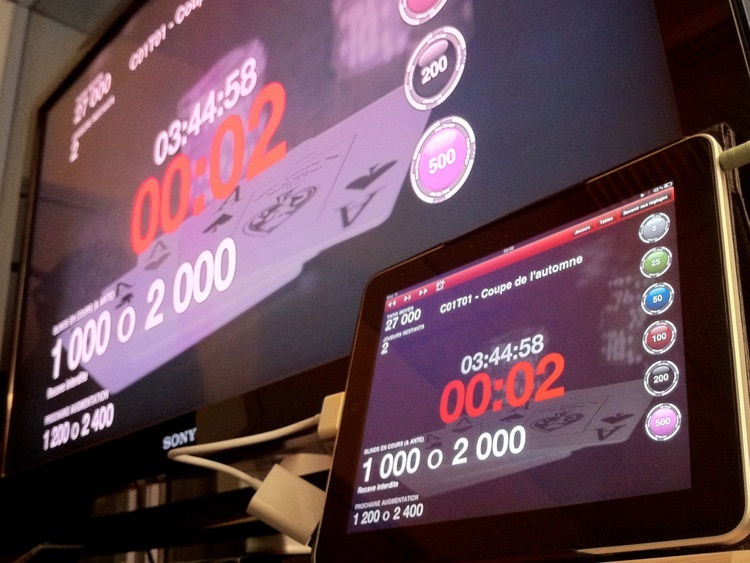 It's main function is to alert your players of Blinds changes, but It actual does so much more. 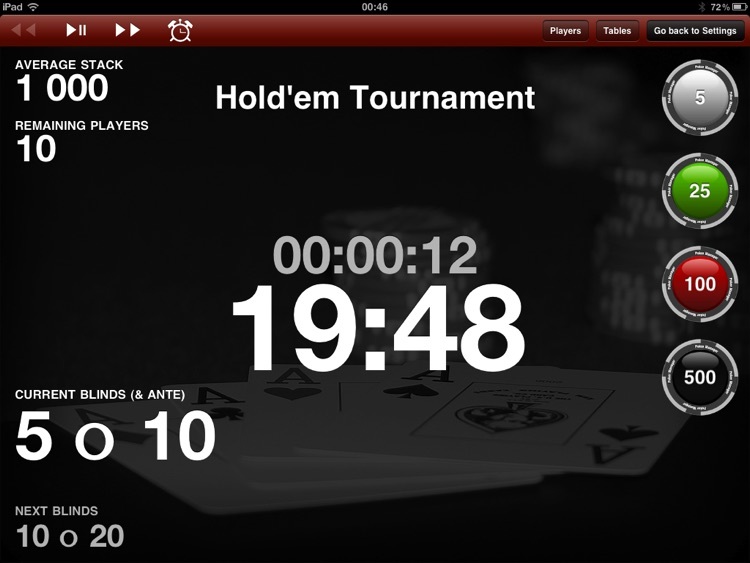 Because you can use both Address Book and predefined Templates out of the box, setting up a new tournament is really easy. 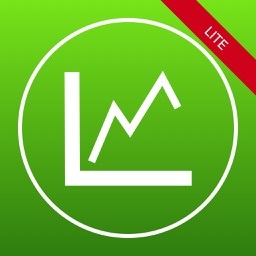 You can even save your own Rounds, Chips and Price Pool templates to reuse them later. 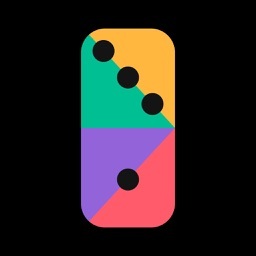 Managing a tournament has never been so simple. 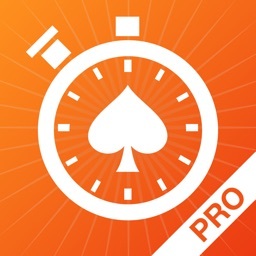 Whenever a player is eliminated, Poker Manager knows how to balance tables if needed, and then notifies you and your players of the changes. At the end of a Tournament, you can send the stats and ranking very easily by mail. Everything you need to re-live your tournament is in there: ranking, rebuys, add-ons, play time, etc. 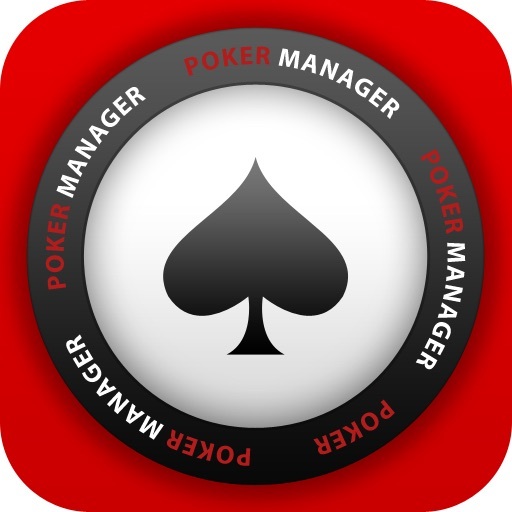 Finally, Poker Manager for iPad is entirely compatible with Poker Manager on your Mac. 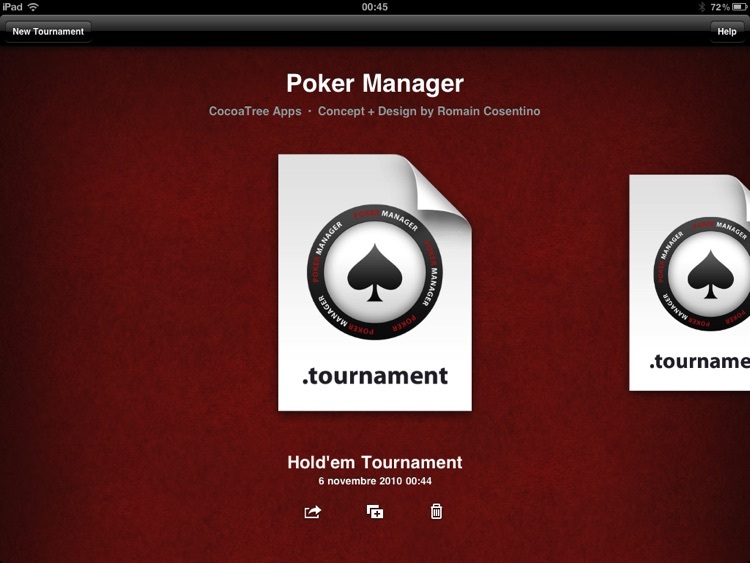 You can easily exchange Tournament files using Mail or iTunes Sharing. 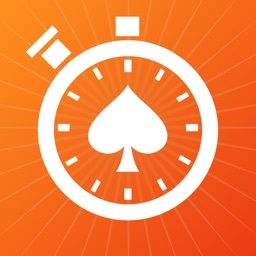 A new Structure Generator creates the Rounds list for you based on your wished tournament duration. Modify or Remove irrelevant rebuys, add-ons or eliminations. 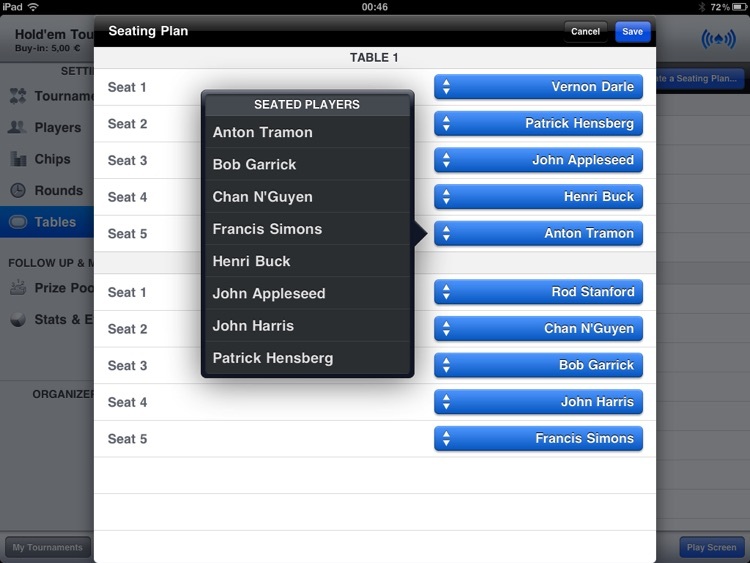 Players registered after the tournament has started are automatically added to the existing seating plan. A new tables editor allows for manual positioning of the players. 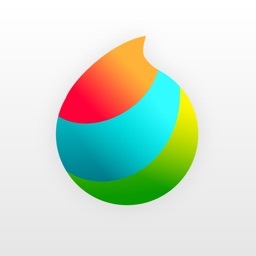 New Round Editor makes it easy to edit multiple rounds at once. Messages can now be displayed on scheduled Pauses.